The Unity Engine which is used for developing Games by most of the independent game developers or indie developers as they are called, has decided to remove the licensing fees for using the Engine. According to PocketGamer, Unity CEO David Helgason has announced that the engine will be free to game developers on iOS and Android. As per the company press release, the decision was made in an attempt to push the "democratisation of game development further than ever before." 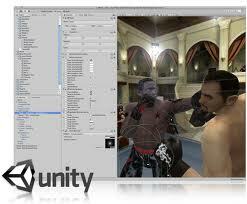 If you are a game developer and used Unity Engine you will know that it cost around $800 (approximately Rs 44,376) to use the Unity Engine. Now you can use this Engine for free and this is a great news for game developers given the versatile nature of the Engine and its popularity. A wide variety of different games have been made with the engine, ranging from DOS-styled Organ Trail: Director's Cut, RPG Knights of Pen & Paper a full-fledged 3D games like Surgeon Simulator 2013. "We were able to make Unity free for the web and for desktop computers a while ago, but have been dreaming of doing the same for mobile for what seems like forever. Mobile games development is possibly the most dynamic and exciting industry in the world, and it's an honour to be able to help so many developers be so successful in fulfilling their visions and in building their businesses." While the engine is only free for iOS and Android, Tizen at the moment, the company has plans to move towards the Windows Phone 8 and BlackBerry 10 platforms as well. Nice blog. Have an award to pass on to you. Please collect it here. http://sakshinanda.blogspot.in/p/awards.html Happy blogging! Thanks Sakshi Nanda for nominating my blog for the Liebster Award. I feel honoured and deeply thank you for the same. I like your blog very much.Every developer should get some good information from this blog.Thank you so much for help to developers.